Your degree can open doors. Make the first one an Acura. If you are a recent college graduate from any accredited college/university, then we have some competitive pricing and finance programs available for you! Let us help you with your new Acura because you have worked hard for your degree. Take the next step and stop by our dealership today. And the ability to drive an Acura every day! Graduate with a master’s, bachelor’s or associate degree from a U.S.-accredited college or registered nursing school. Have graduated in the past two years or will graduate in the next four months. Provide your Acura dealer with the credit and document requirements. Options: Choose the right plan from Acura Financial Services that best suits your lifestyle. Purchase – if you anticipate keeping this vehicle for more than five years, you should consider traditional financing. To lower costs, you can get started with a very low down payment and structure the loan over a longer period of time. Lease – Leasing is about options – the option of purchasing your vehicle when the lease term is up or turning it in for something new. Also, this program can put you into a New or Certified Pre-Owned Acura with as little initial cash spent as possible. Onward: Now that you’ve done your homework, let us help you get on the road to your next destination. The next step would be choosing the right Acura vehicle for you! We would be happy to answer any questions you may have! 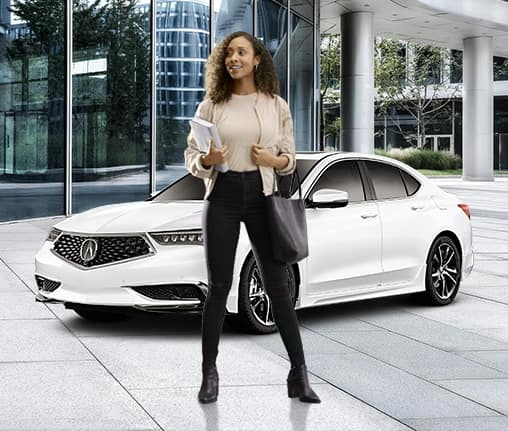 Acura Financial Services is offering amazing deals for Graduates on any 2019 or newer Acura models when you finance or lease. 1 For well-qualified clients who qualify under Acura Graduate Program criteria, subject to approval by Acura Financial Services.2 Available only on traditional financing. 3 Only one $500 Acura College Graduate Bonus offer per vehicle. LEASE: $500 applied towards the cap cost of vehicle. Monthly payment and total due at lease signing are calculated after $500 reduction. Cannot be combined with Zero Due at Signing Lease program. PURCHASE: $500 applied towards down payment. Offer not valid on Acura Certified Pre-Owned Vehicle or used vehicles. Offer valid through March 31st, 2020 and may be terminated at any time.